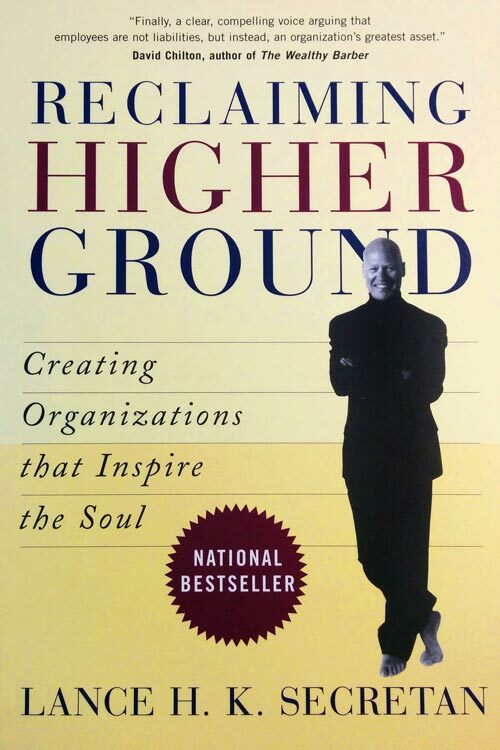 Reclaiming Higher Ground | The Secretan Center, Inc.
"This book was both a high point and turning point for me. It started a movement and eloquently shows the path to being an inspired leader and building an inspiring organization. It is both practical and altruistic. I have suffered a few disappointments over the years with the way some business operate and found the perception of what you needed to do as a business owner betrayed a deep disregard for relationships. Reclaiming Higher Ground is in alignment with what it takes to be a good leader and a good human being. Reclaiming Higher Ground and the understanding of using story to place people on the map of a post heroic journey is something that is more aligned with the current time and business culture. When first published, it was ground breaking work and remains so today. From the title and the philosophy of Reclaiming Higher Ground, came the more recent name of our company – StoriedGround."